Bad Super Sniper box test!!! Quote Reply Topic: Bad Super Sniper box test!!! A little while ago I posted a coment about my scope MOA being possibly off. So I did a simple 15MOA box test at 100Y....guess what it was garbage. I should have gotten a 15" sguare box w/ 5 holes in each corner ( or a group anyway), but I had right at a 17" box consistantly. Every adjustment put the point of impact almost 2" off where it should have been. Please tell me there is a warranty on these scopes so I can send it in and rectify this problem. With results like this I might as well use kentucky windage...at 600Y moa value is double! What the hell!!!!! Opticstalk Moderator Response: -- UNFOUNDED ! Full Review of this Scope Completed - Scope Works Correctly!!! No offense, but there are a couple inconsistencies in your diatribe. 1. If every adjustment were in fact 2 inches off, your box would have measured 19 inches square, not 17. 2. At 600 yards, your value would not double. It would be the same angular value regardless of range. For instance, you got .283 Minutes per click instead of the spec'd .250 (1/4 ) Minutes in your 100-yard test. What I mean is that the scope isn't going to consistently give you .283 Minutes when you're shooting at 100 yards, and then decide to get REALLY evil on you when it sees that you're shooting at 600 and suddenly give you .500 Minutes per click. Doesn't work that way. BTW, I'm not doubting that you are getting more than .250 Minutes per click. I got similar results in my tests of a 10x42M Super Sniper (Side Focus). It really isn't a huge deal, as long as it does it consistently, (and the one I tested did), and you make the proper allowances on your range card. They may even manufacture a bit more movement into it to allow for turret break-in and wear over time. Who knows? Did your rounds group, just in the wrong place? And, if I recall, you were 6 inches out at 600 yards and are now 2 inches out at 100 yards, is that correct? Do you, by any chance, have a picture of the target? There is a great warranty on the scope, if there is a problem, SWFA will make it right. Well, in another thread in the reloading forum, he mentioned getting consistent 1/2 minute groups, so I'm thinking he shot well at 100 yards, but with wind and mirage probably not so well at 600. 1 MOA = 1.047" at 100 yards. If you dial in 15moa, that's 15 x 1.047 = 15.705"
Given that, you are not 2" off, but 1.3"
Be sure that you are measuring from the center of the groups. MOA box test measured in inches at 100 yards will always print groups further in all corners/directions. Hence, a bigger box because MOA is not exactly 1"
One last factor, you 100% sure it's exactly 100 yards? Not 105, or maybe a 100 meters? Most ranges are not exact. MOA difference plus small shooting at slightly over 100 yards can equate to the 1.3" difference in overall box size you are experiencing. If you're measuring the groups correctly, and are at a proven 100 yards, then I'd say the scope is not tracking correctly. That said, when scopes fail to track correctly, they usually give erratic results. Not enlarged, but consistent results like yours. I think the bigger picture is he has a scope that doesn't track as it should. It may or may not be "a huge deal" to him or prospective buyers. My SS20x did not track accurately either, but it was consistent. THat's why I'd like to know if it made a square box or not. I could live with adjustments that were not according to the graduations but an out of square box is bad juju. I no longer own a SS. A lot of reading, but addresses some of the issues we are discussing. The first link is my initial review of the scope, the second is by Nimzoblanca and is dead-linked to supporting threads, including my review. and a followup review I can't locate, in which I note the actual click movement I got from my test after taking the target home, measuring it and running the calculations. The first post by Nimzoblanca in his thread is the most relevant one to this discussion if you don't feel like reading three pages of text. Good reading RONK. Mine had larger than 1/4moa clicks as well. It's been a while....I don't remember how far off it was. I may dig out those old box tests later. My review would have been better if I had measured it up right away and posted the results in the original thread. At the time, I was only concerned with it returning to the original zero after a long trip around the drafting paper sheet, which it did splendidly; actually punching out the push-pin aiming point with the second or third shot of the very last five-shot group. It was only later that I realized the clicks were actually yielding a bit more than spec'd. I noted it somewhere, but can't find it. It may be in Monster's thread in the same forum about the same time. If I recall correctly, I got .275 Minutes per click. OH....and when 1 shot matters....this is very important I think...it is definately the difference in a kill and a miss at 600 or farther. I agree. If anything, this punctuates the need to know where your bullet is going, not just zero at 100 yards and run a ballistics program and think that it says 11 clicks for 300 so it is 11 clicks to dead-nutz at 300. Never take a shot on game that you do not have a zero on for that load, that scope, and that rifle (in similar conditions.) Anything else is asking for trouble and, at long range, is poor hunting ethics. As I said previously, Chris will stand behind his stuff. Let us know how the next one tracks. I definately will Rancid I think we will be ok....like I said they definately took care of me and this situation. Again, that doesn't make any sense based on your results at 100. Are you SURE you're shooting 600 yards? Are you feeling or audibly hearing the clicks? The turret set screws are snugged? Sorry if this was asked already, I'm on a blackberry. 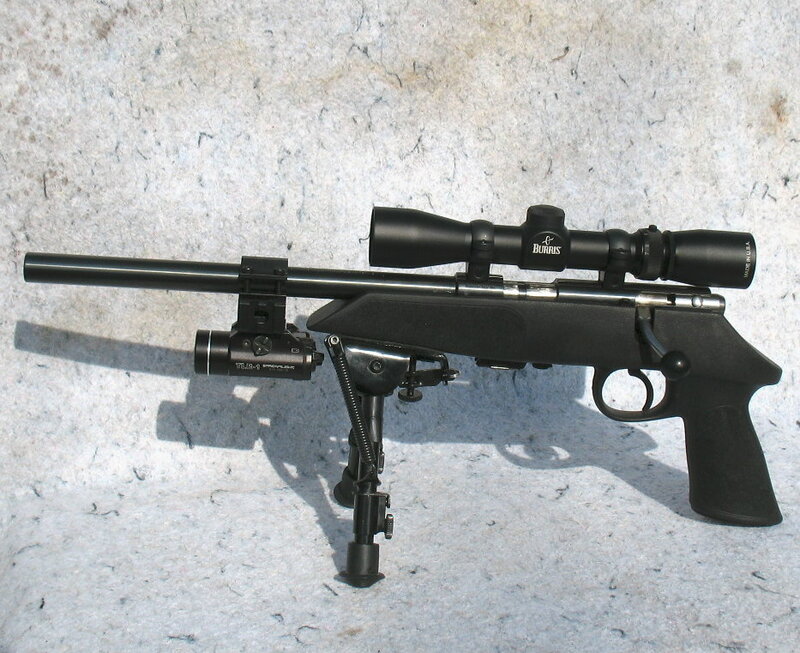 I would really, really, really love to put this particular scope on one of my rifles for a weekend. Yes it is 600y flat ground measured with a wheel...and no it does not make sense that is my point, Ronk I wish you could explain this to me....mike I would love to have sent it to ya but already sent to swfa for return. Sending the scope to SWFA won't keep Mr. Mike's hands off it, I assure you. sh*t,I wish I could put Mike on my rifle! Or have at least tell me what I am doing wrong! Oh, I wish you could too, Mike! Mr. Chris could you make this happen somehow, please? I wish I could see good enough to hit within 2" at 600 yds. Much less shoot that good. This is all far above my current ability. Being new to this forum and not wanting to overstep my current bounds, I do want to say, I agree with 3_tens. I hope to be able to shoot that well some day. I think Iam going to try and shoot a box this weekend and test my gained knowledge from this discussion. I have a SS 16x and Iam interested in seeing what it will do. This is good stuff! Ok, I do have one question and please excuse me if it has been asked before. I ran through the number of shots fired on the box test and I believe it will be 14 rounds. How long do you wait between rounds? Are we talking cold bore shots, or one after the other? I have been very interested in this since getting involved in prescion shooting. I see guys at the range, all the time, firing one round after the other, heating up their barrels and getting crappy groups, then they start adjusting scopes and things get really bad. They end up leaving, pissed at everything. When I do this test, how is the best way to shoot it?